The combination of timeless craftsmanship skills, the ability to maintain the best artisans in the business, and a passion for serving others has been taught and handed down for three generations at Francis Bryant. Whether your dream project is in the heart of the city, the suburbs, next to a lake, or on a hunting preserve or country side farm, we would be honored to be a part of making your dream come to life. And while we believe it’s our attention to detail that sets us apart from our competition, we invite you to judge for yourself by taking a tour of our body of work here on our site. To be the best at helping others get what they want by serving them. Honesty – We tell the truth even when it is hard. Integrity – We do the right thing even when no one is looking. Respect – We treat others as we would want to be treated (Golden Rule). Excellence – We surpass ordinary standards by continually learning, improving, and innovating. Humility – We admit our mistakes and learn from them. Plan – We believe inadequate preparation equals inadequate results, therefore we make a plan for our time, projects, and daily goals. Accountability – We don’t just think it and say it; we do it, on a daily basis. 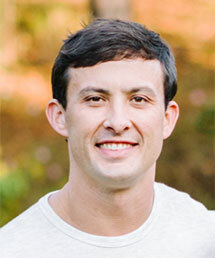 John’s experience is unmatched in the custom residential industry. On high end custom job sites since the age of four, John is a third generation builder. He was taught by his grandfather, Francis, and father, Steve, the mastery techniques of how to build custom projects for demanding clients, architects, and design professionals. 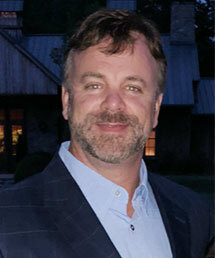 John oversees all aspects of the construction process for each project at Francis Bryant Construction. John is married to Lauren Bryant and they have three very active children: Brooks, Ann Bennett (Sissy) and Camp. John’s hobbies include challenging workouts and deer hunting. Kevin became a partner in Francis Bryant Construction after retiring from a successful career in the wireless Industry. Kevin was the Founder/ CEO of the top retail distributor in the Southeast for AT&T growing it from one location to eighty one locations throughout the southeast region. Kevin has brought over 20 years of business experience in systems and process from the corporate world to ensure Francis Bryant has the best business practices in place to serve our Clients needs in an organized manner. Kevin is married to Jennifer Gann, and they have three energetic children: Luke, Chloe and Trent. Kevin’s hobbies are reading, travel, and being outside in the country. Together John and Kevin lead a team of the most skilled and experienced craftsmen in the custom residential industry.